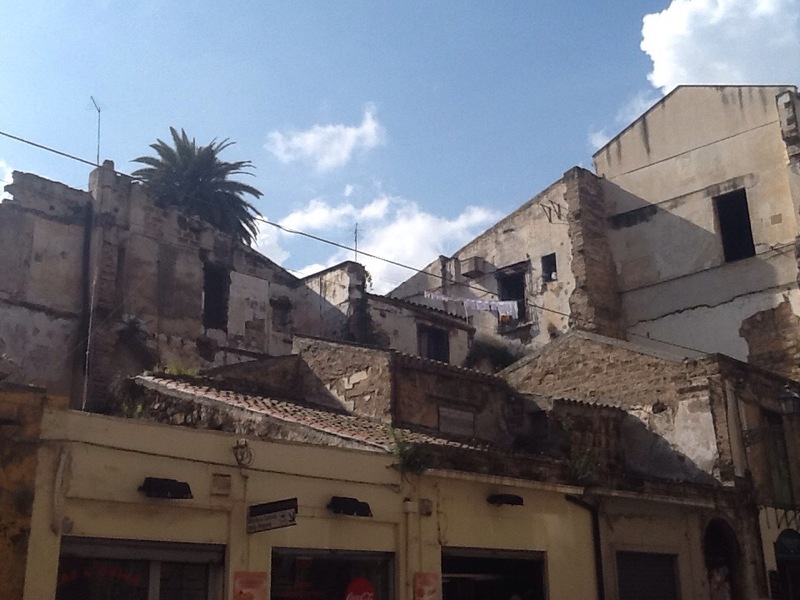 During our walking-tour of Palermo, our attention was directed towards various ruins and abandoned floors of buildings that had been left in this state following WWII. In observing the architecture around Palermo, I am constantly reminded of the endless history surrounding much of Sicily. Within one day, we can see gorgeous Ancient Greek ruins followed by giant cathedrals marked by Ionic, Doric and/or Corinthian columns, juxtaposed with the bombings of World Wars and the ominous presence of the Mafia even within cathedrals, as was pointed out by our guide from Adiopizo.